After hearing all your suggestions, concerns and gripes and after looking at our data and understand that this is what the typical Redis user needs… it’s finally here. Today at RedisConf 19 we announced that Redis Labs, the home of Redis, has acquired RDBTools from HashedIn. You can read all about HashedIn announcement here. RDBTools is the leading product for people to view and analyze their data with awesome features like Memory Analysis. All aimed at Developers to get the most out of Redis. 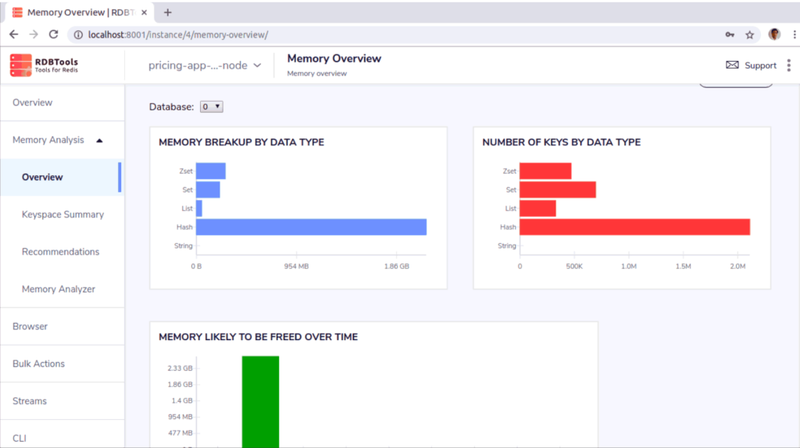 Rich visualization is a part of gaining insights into your Redis deployments, here’s an example of Memory analysis. 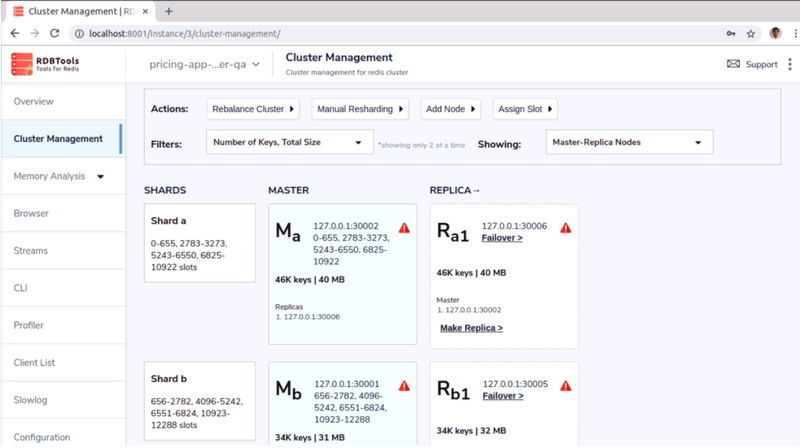 You can also understand your Redis deployments and see the relationships between Master and Replica instances and Shards. You can deploy RDBTools in a number of ways. There are Desktop clients for Windows, Mac and Linux. A Docker image also exists, to ease the deployment – including into Kubernetes clusters. And finally there is an image on the AWS marketplace. We also plan to provide RDBTools as a fully-managed service. So grab a free copy here, and use it with Redis Open Source, Redis Enterprise or point at your favorite Redis Managed Services (GCP, Azure and AWS).